Short break prices are also available, starting £300 for off peak. 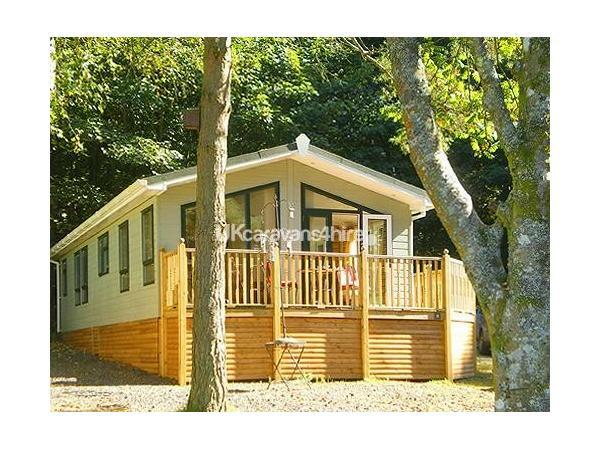 This beautiful double fronted lodge is located on the exclusive Pony Meadow area of White Cross Bay Holiday Park. It has decking to 2 sides and is in a elevated but secluded position, with its own corner garden. It has woods to the sides and rear of the property, where deer are seen virtually every day. The bird life is fantastic too. 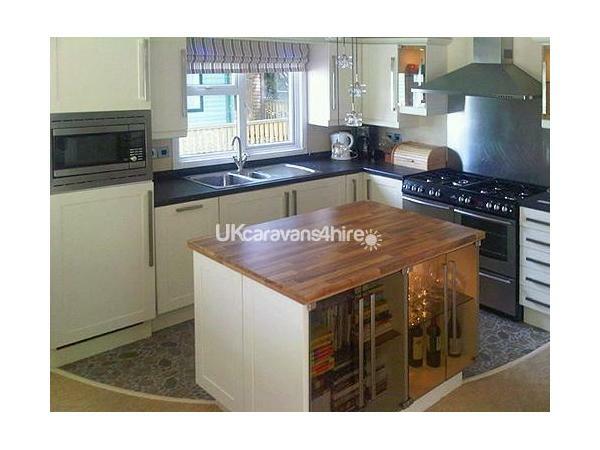 The lodge is fitted to a very high spec, with two double bedrooms, each with its own bathroom and TV. 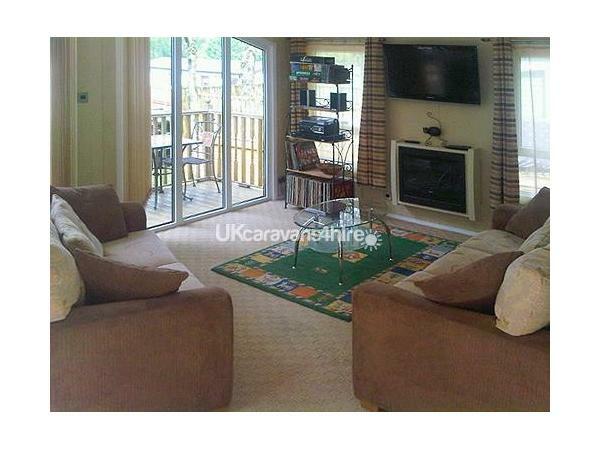 It has a 42ins TV with DVD player in the lounge and comes with a collection of DVDs, games and books for guests to use. 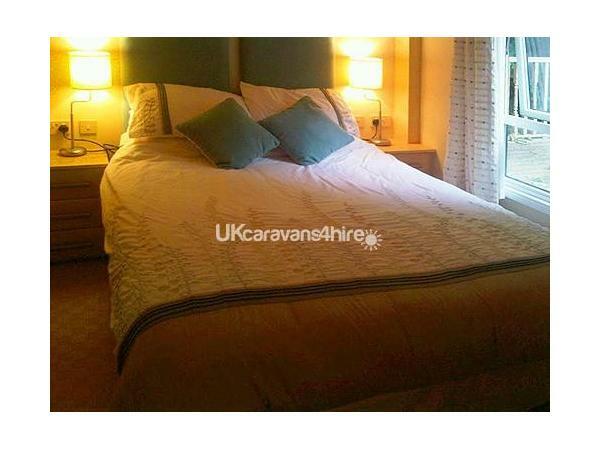 It has full central heating throughout making it deal for all year round visits. Lake Windermere is 50 yards from the lodges, but there are views of both the mountains and lake from inside the lodge ad on the front balcony. 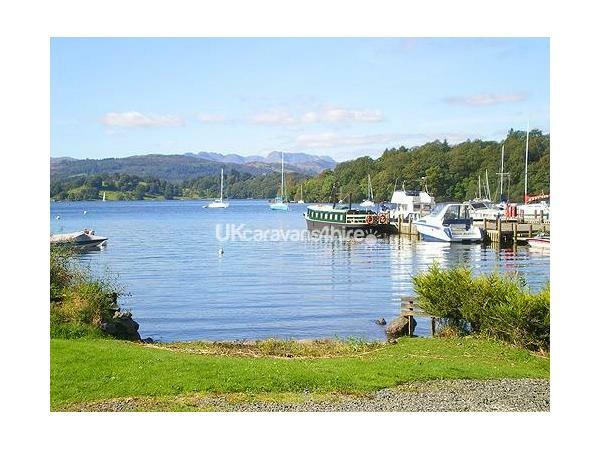 White Cross Bay is located on the banks of Lake Windermere between Ambleside and Windermere. It has its own marina and boat launching facilities. 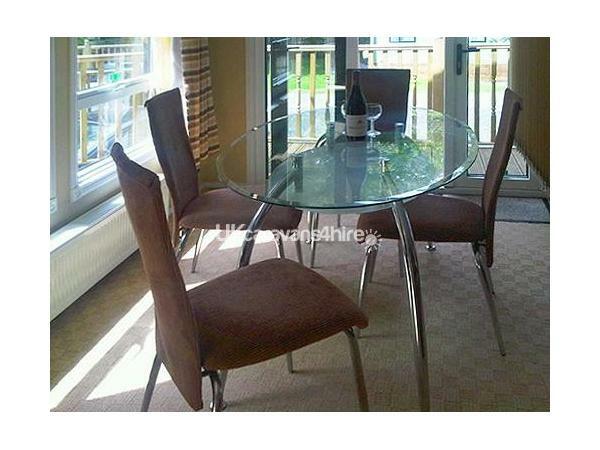 Its a 5 minute walk to the site facilities which include an indoor swimming pool, jacuzzi, steam room,sauna, gym, restaurant, bar, amusements, takeaway and a shop. Dogs are welcome and there is a woodland dog walkers area on site. There is free WIFI across the site. Freeview channels, including Sky Sports channels 1 & 3, are also available. 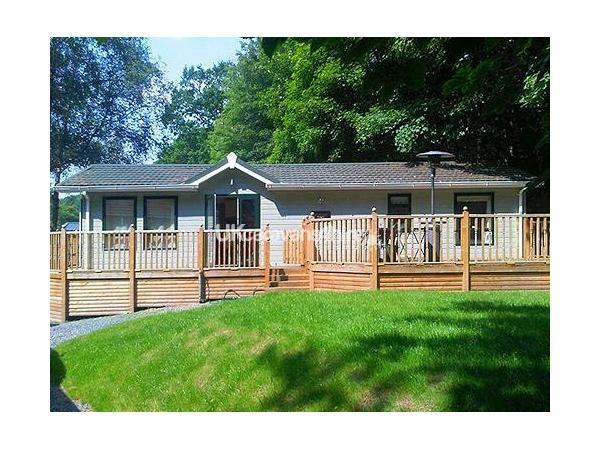 White Cross Bay Leisure Park is situated between Windermere and Ambleside, and has an open lakeside frontage with picnic areas. It is both family and dog friendly. Outdoor facilities on site include 2 childrens play areas, a multi use games area, marina, woodland walk and beer garden. The location is ideal for walking and the Lake District Visitor Centre at Brockhole, complete with many different outdoor activities is within easy walking distance. 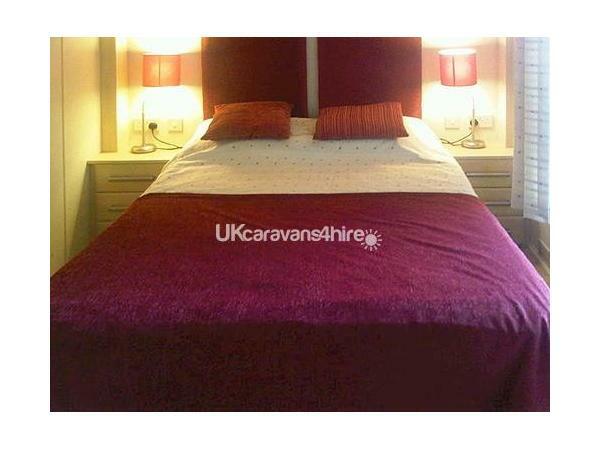 Our bookings are Friday to Friday for week breaks and Friday to Monday or Monday to Friday for short breaks. All linen is included in the price. Leisure passes are available from reception for £15 per booking! Additional Info: Sauna, Jacuzzi, Steam room, multi-sports area, outdoor playgrounds, lake frontage picnic area.